Water is absolutely fundamental for all life on earth, and is something that we in the developed world absolutely can, and do, take for granted. A safe, adequate water supply and provision of effective sanitation through return of water to the environment are two of the features that differentiate developed countries from others. A staggering 1 in 10 people in the world don’t have access to safe clean drinking water and effective sanitation. Without these, no community in the world can establish itself and grow sustainably, and fantastic charities such as Wateraid strive to overcome this. Many people in the developed world think that water simply falls from the sky and flows through our taps, and few are aware of the highly complex science involved in producing drinking water and in treating water ready for its safe return to the environment. In the UK alone, there are tens of thousands of scientists working in water companies, regulators, academic institutions, consultants, charities and companies who form the supply chain. Scientists in such a crucial industry must absolutely be able to demonstrate their competence and their professionalism in order to maintain the confidence and trust of all of us for whom water is a fundamental aspect of life. The Science Council set the standards for professional registration for practising scientists and technicians, and licence professional bodies to award members who meet the required standards. 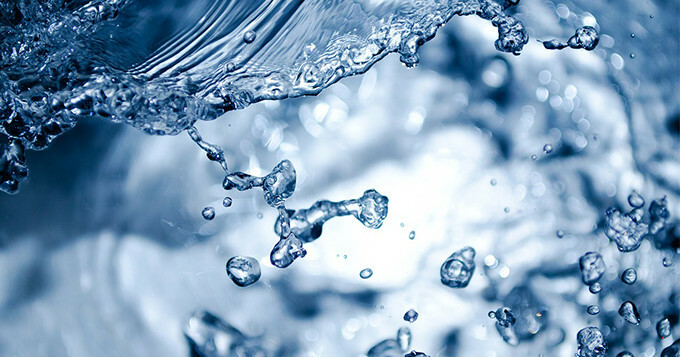 The Institute of Water is the only such professional body solely dedicated to the professional development of people within the water industry, and is able to award Registered Science Technician, Registered Scientist and Chartered Scientist status to its members. This suite of registrations means that the Institute of Water is uniquely placed to support and enhance the careers of all those tens of thousands of scientists in the industry, alongside its events and mentoring programmes and its very practical support for continuing professional development (CPD). The Science Council are hugely supportive of employers who are keen to develop their scientists, and several water companies have achieved Employer Champion or Approved Employer status. Anglian Water were the first water company to achieve both, having demonstrated their absolute commitment to the continuing professional development of their 200-strong scientific workforce. Being part of an industry providing such a vital service, which plays such a fundamental part in all our lives, and is committed to support those communities who are constrained by the lack of water, is an absolute honour. It is truly the best job in the world. The Institute of Water is hosting a One Day Science Conference titled ‘The Science of Water’ on 21 September 2016. Find out more about the event or book your place now. Dr Robin Price has a PhD in Drinking Water Treatment, and has worked in the water industry for over 20 years. He is currently Head of Water Quality at Anglian Water Services, based in Cambridgeshire, leading a team of 60 scientists and technicians, and is also Vice President Science with the Institute of Water. Robin was the Institute of Water’s first ever Chartered Scientist back in 2013, and his role with the Institute of Water is to promote professional development of scientists across the water industry.